As with everything, the size of this will differ depending on your space. 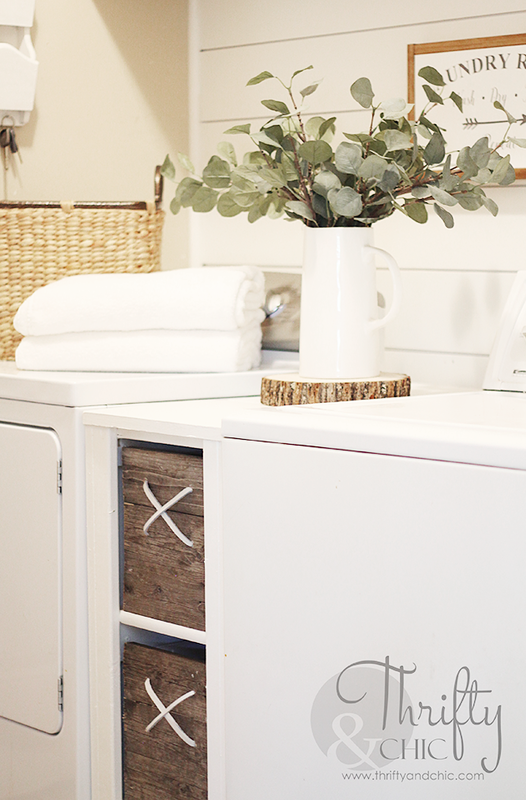 I made it be a perfect fit between my washer and dryer and close to the same height. So, you will need to adjust your measurements accordingly. 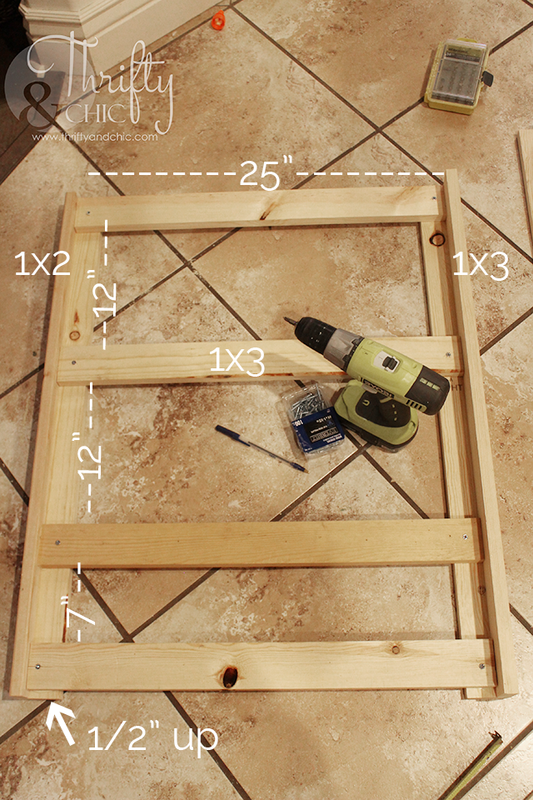 Step 1: Build the legs. To give more clearance for the boxes to come out the front, I chose to use 1x2s on the front side on the front legs. 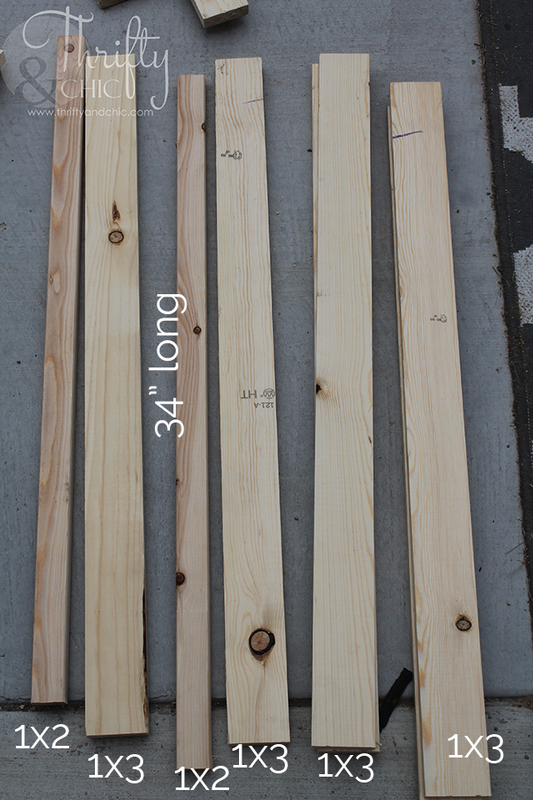 The other pieces were 1x3s all measured at 34" long. 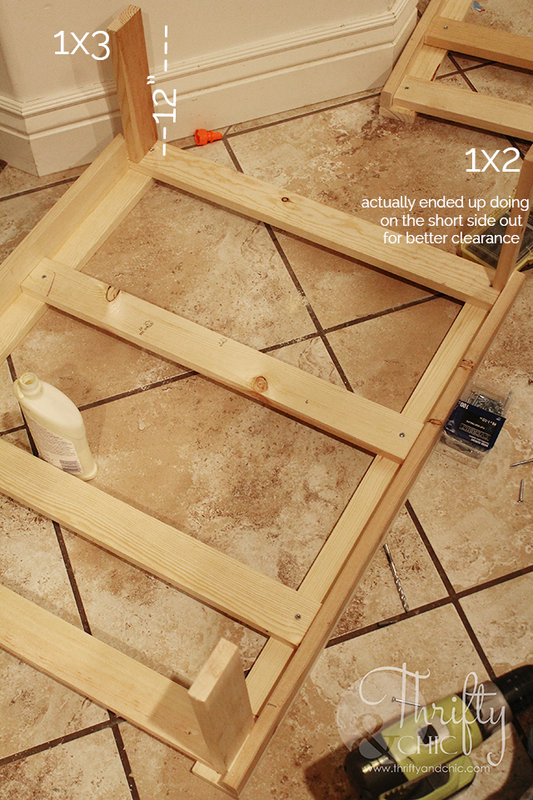 I butted up one 1x2 against a 1x3, glued in place and then screwed in 1 1/2" screws. I did this with the other 1x2 and 1x3, and then to the 1x3s against the 1x3s. So, two 'legs' have a 1x2 against a 1x3 and two have all 1x3s -these will be the back legs. 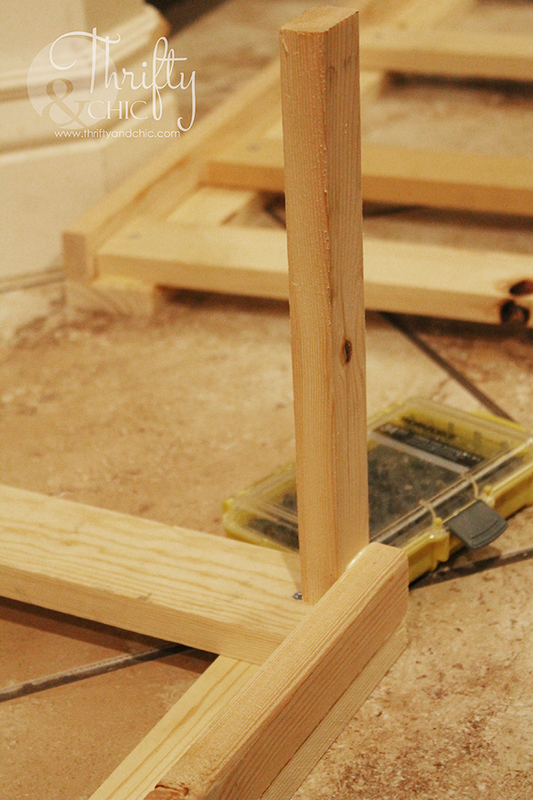 Step 2: Place the legs on a level surface. I placed the 1x2 side on the left and the 1x3 leg on the right. Remember in this whole process the 1x2 is going to be the forward facing piece. I then connected the legs with four 1x3s measured at 25" long. The first one is at the top of the legs. Then the second and third on are 12" from the top of each 1x3. Then the last one measures 7" from the top of the above 1x3. The last one I had sit 1/2" from the ground to allow room for water draining (just in case). Step 3: I then got the other set of legs, and placed the 1x2 side on the right this time, then placed the horizontal 1x3s in the same locations as the ones above in step 2. 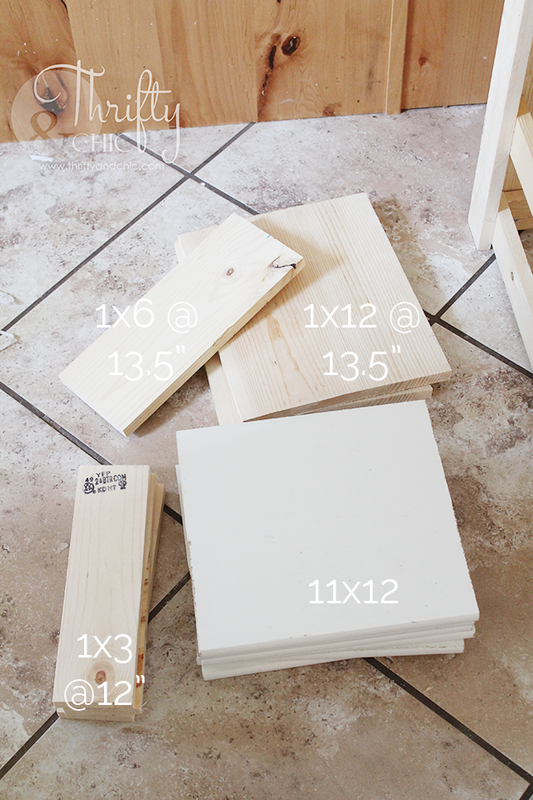 Step 4: I then cut three 1x3 pieces at 12" each, and one 1x2 at 12". I glued and screwed these in with 1 1/4" screws to the outside pieces of wood. These are what will connect each side. 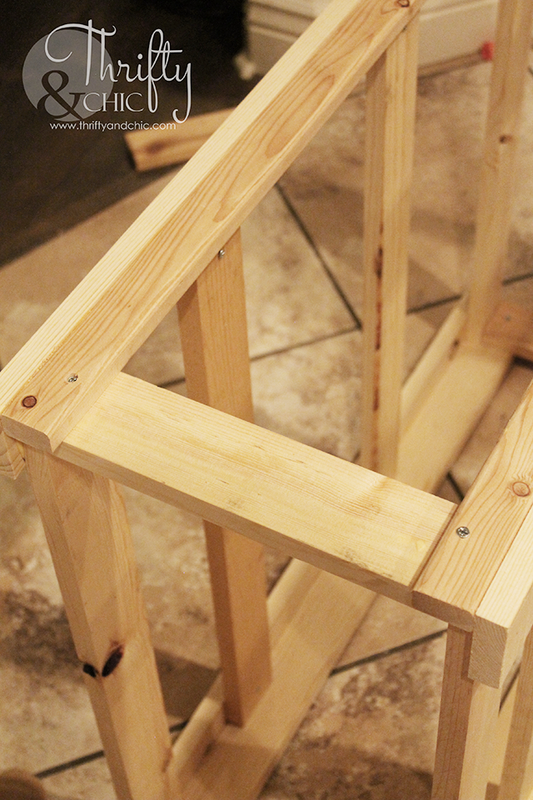 The 1x2 piece was used at the top against the 1x2 leg piece. This could be difficult to screw the pieces in on the 1x2 leg piece, so it may make since to countersink the screw from the front instead of trying to hide the screw on the inside. 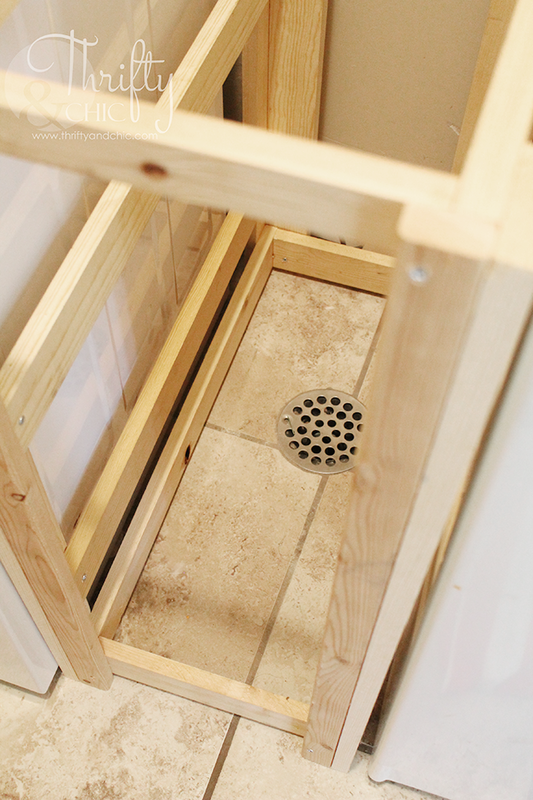 On the bottom pieces, make sure you place the 1x3 against the horizontal 1x3 and not flush on the bottom -leaving that room for water drainage. Here's the top 1x2 piece. As noted in other picture, I actually ended up moving this so the shorter side was facing out to allow more clearance for the boxes. So, essentially, I just rotated this 90 degrees, then screwed it in from the outside. 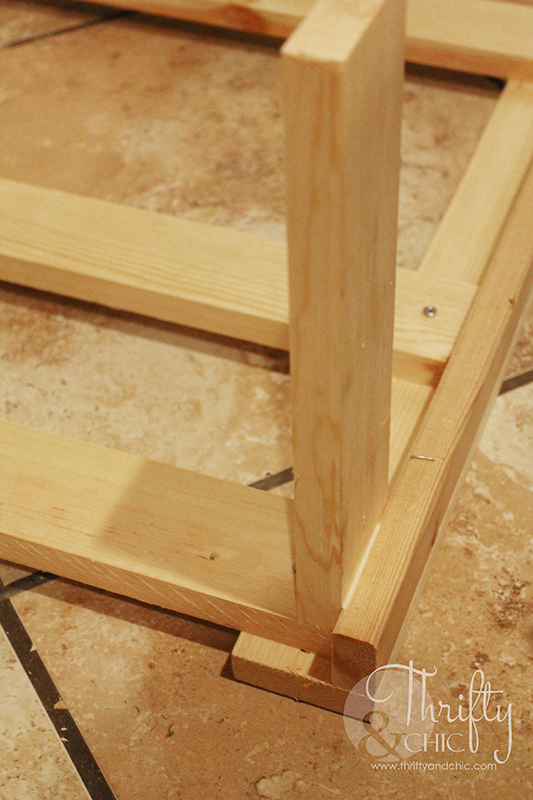 Step 5: Connect the other side using wood glue and screws. Before I continued on, I wanted to make sure this actually did fit in the area I was building it for, and it did! You can see the drain right in the middle; that is the reason I left that small clearance on the bottom. 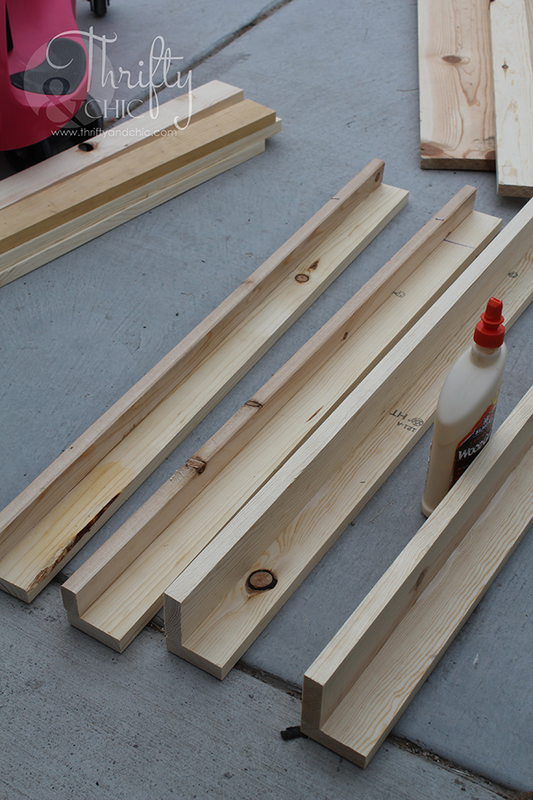 Step 5: Cut the wood for the shelves and the top. I actually just used what I had lying around for this, so if you want a better fit on things, you can do the adjustments :) But for me, I used 1x12 mdf shelves I had. These actually measure at 11". So, I cut them at 12" to make them fit inside the unit. I also cut 1x3s at 12". For the top, I ended up using two 1x12s and one 1x6 cut at 13.5" This allowed for a little bit of an overhang on the front and back. 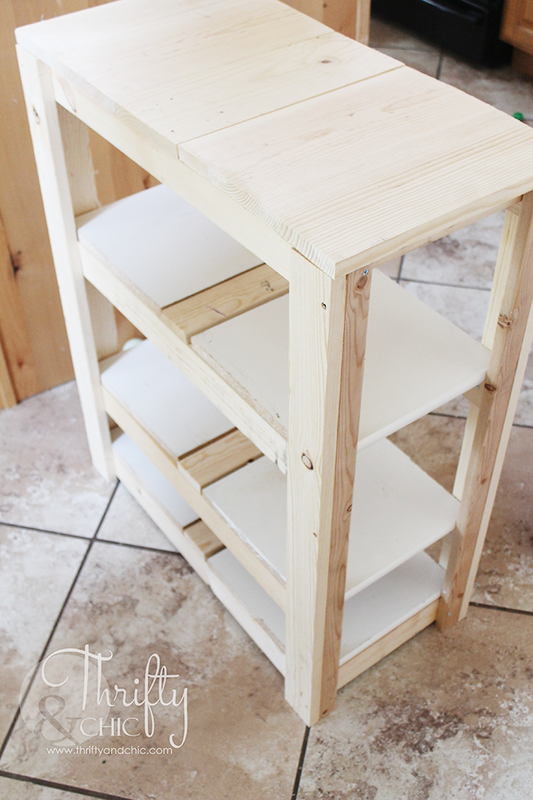 Step 6: Place the shelves. Secured them with a nail gun and 1 1/4" nails. If you don't want a gap in between your wood, then cut the middle piece from a scrap piece of the mdf to fit that width. I also nailed in the top. Step 7: Fill in all holes with wood puddy. Sand. 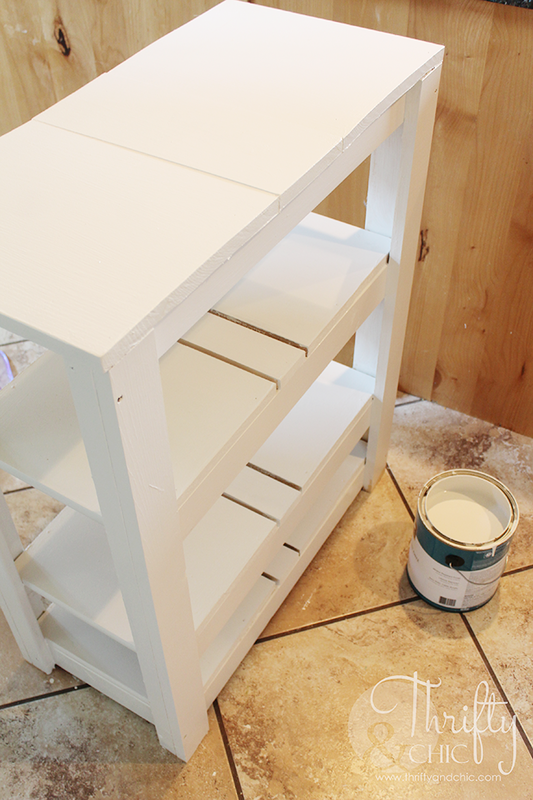 Step 8: Paint or stain. I painted mine Swiss Coffee by Behr to match the color of the walls and shelves in the room. For more durability, seal with poly. I had a dream about creating the boxes to make them look like mini barn doors, but then I found my reclaimed wood in my backyard and called it good :) I'll do another tutorial on how to make these boxes soon and link back. This unit has so much storage it's unreal! And I love the length of it. 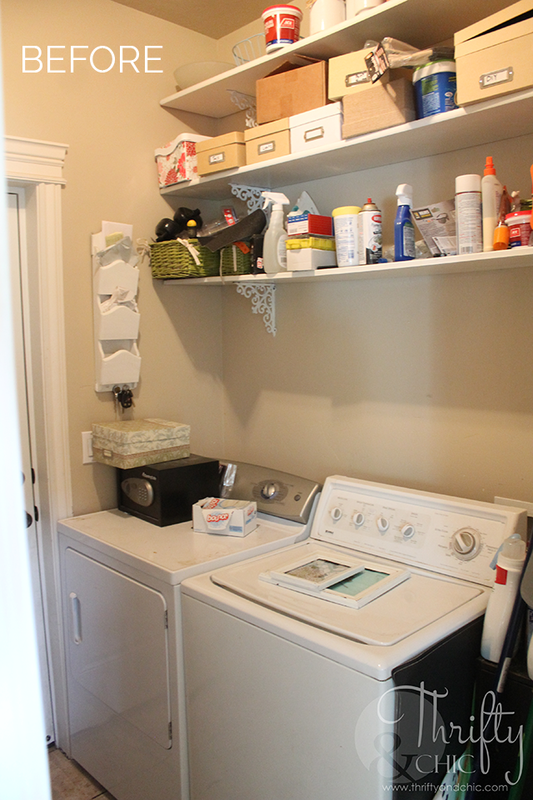 It has made my laundry room seem that much bigger and has added a ton of useful space. 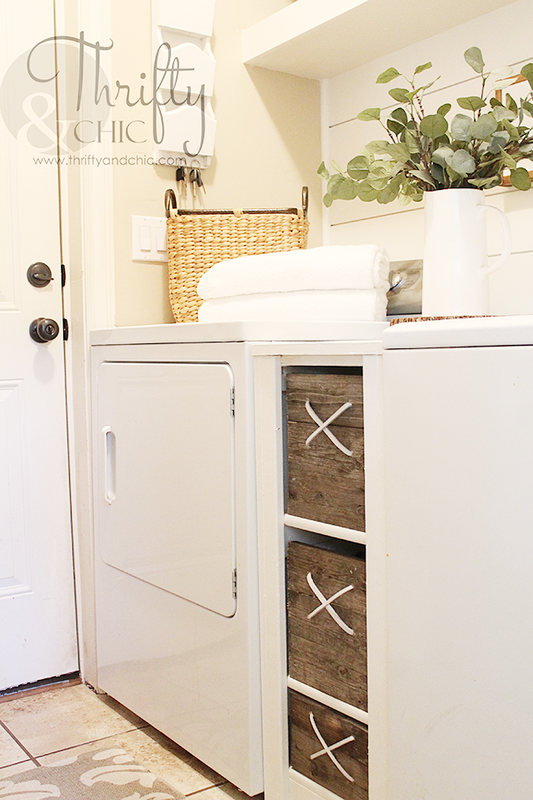 The drawers pull out easily, and hide a lot of stuff. 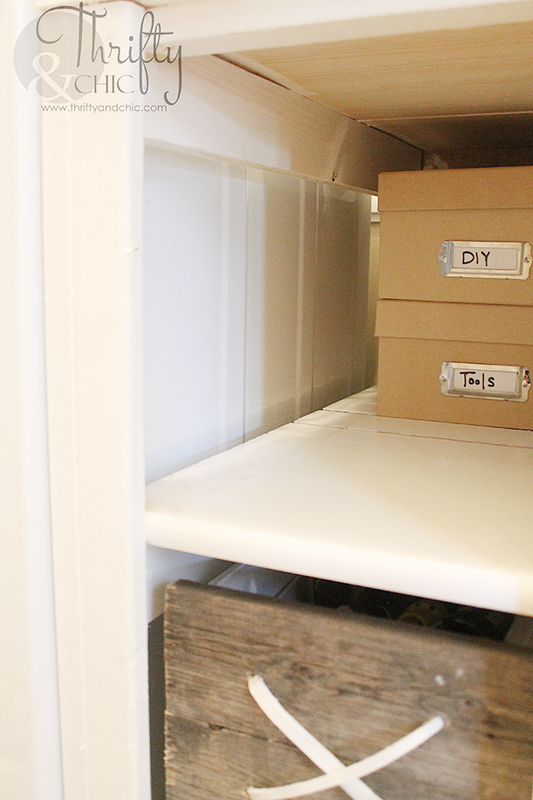 I made the drawers to only go half way back, so I have a lot of storage behind them for things I don't use that often. Now that I have more hidden storage with these shelves, hopefully I'l be able to keep my laundry room a little cleaner...or at least less cluttered. 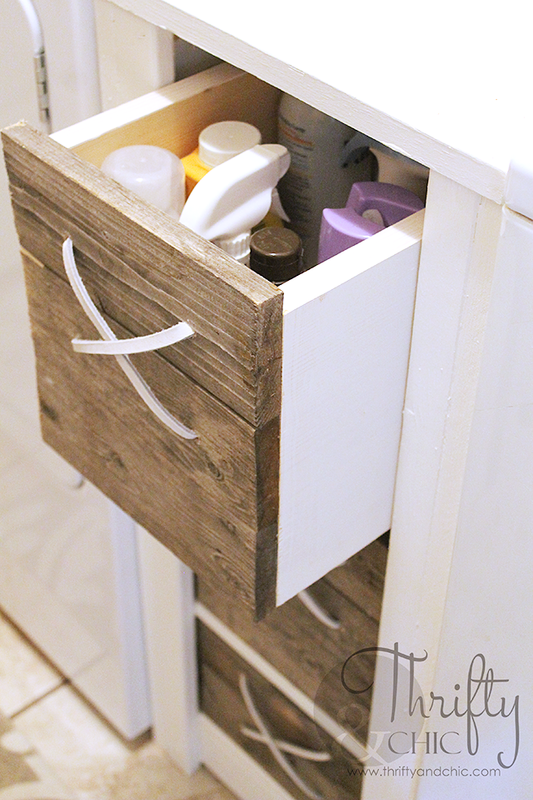 You can see the full reveal by clicking here, and the tutorial on how to do the shiplap and shelves by clicking here. 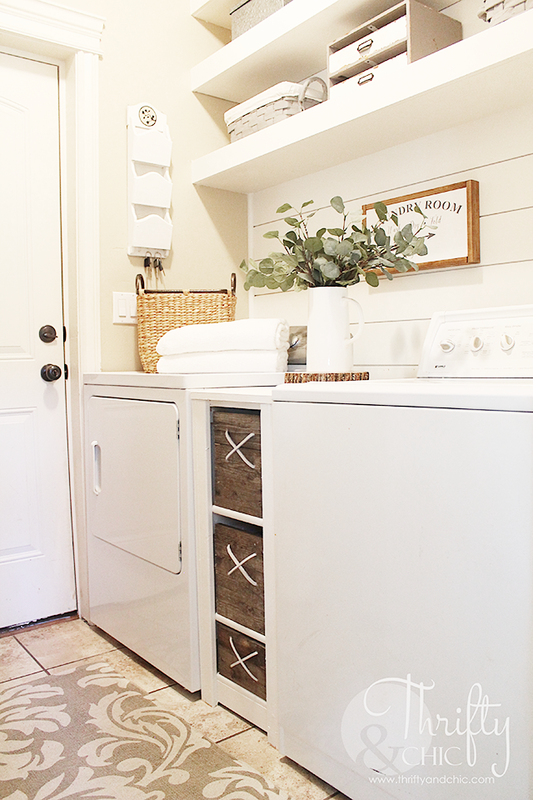 Great tutorial, your laundry room looks great. I'm going to show my husband the cabinet and see what he can do! 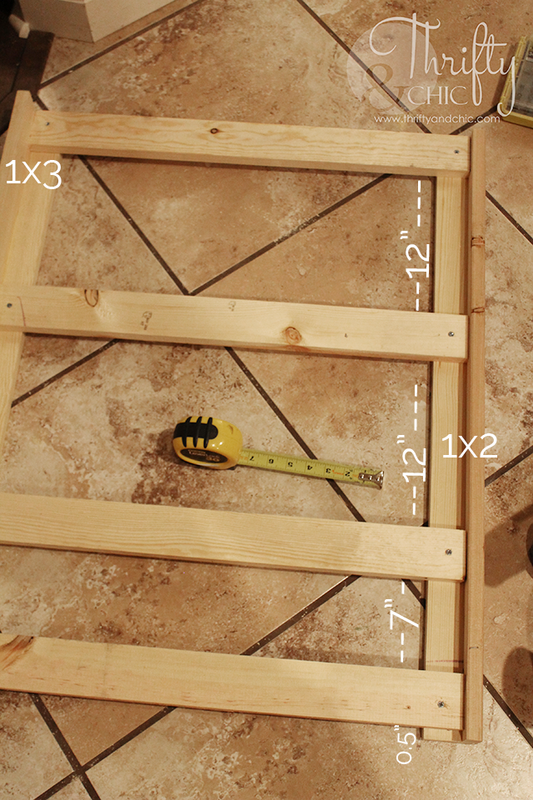 It's a great tutorial, I'll have to make some adjustments with the measurements, but I'll sure make a good use out of it - let's see how it turns out! 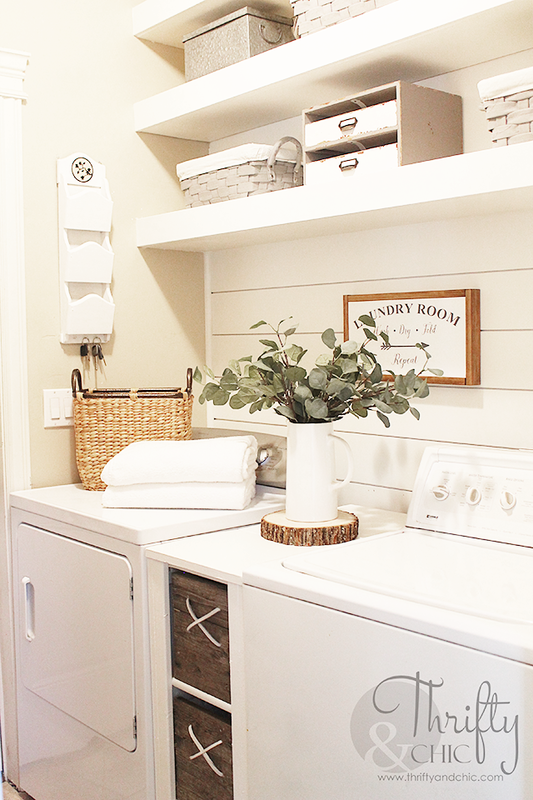 And oh, you're laundry room looks incredible!! Any idea how much it cost you to make this?